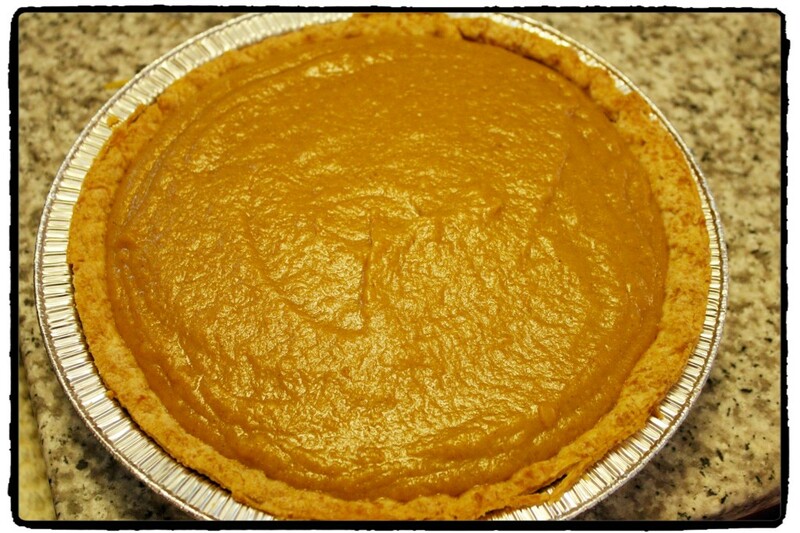 When I was growing up, I LOVED when my grandmother would make Pumpkin Pie. The only type of pumpkin pie that I will eat is her recipe. I have tried others, and they just don’t compare. I wanted to share her recipe because I certainly do miss her, especially as we head in to the holidays. I called her “Ranny” because I wasn’t able to say “granny” when I was little. I hope you enjoy Ranny’s Pumpkin Pie as much as I do. One Thanksgiving when I was a little girl, we went to Disney for Thanksgiving. We couldn’t find anywhere to eat the traditional Thanksgiving meal except a cafeteria on International Drive. I wanted pumpkin pie so bad as it was our tradition, I grabbed a piece when I went through the line and I was extremely disappointed. Up to that point, I had never tried any other pumpkin pie except my grandmother’s and that was the ONLY pumpkin pie that I wanted. The difference is in the fact that this pumpkin pie is not baked. It is cooked in a double boiler and then you let it set up in the refrigerator. 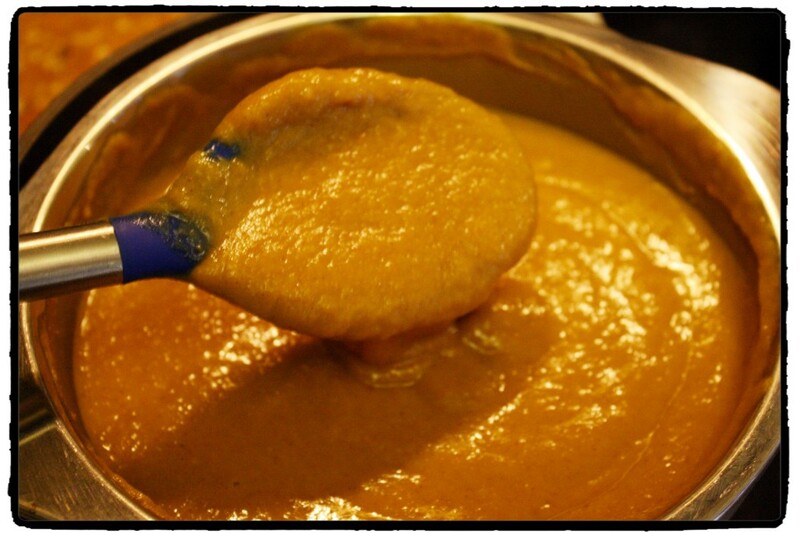 It has a wonderful pumpkin taste and the texture is more of a smooth. The first thing you will want to do is combine all our ingredients in a bowl. I just stir using a spoon until all ingredients are mixed. Then you will setup a double boiler on the stove and get the water to a rolling boil. 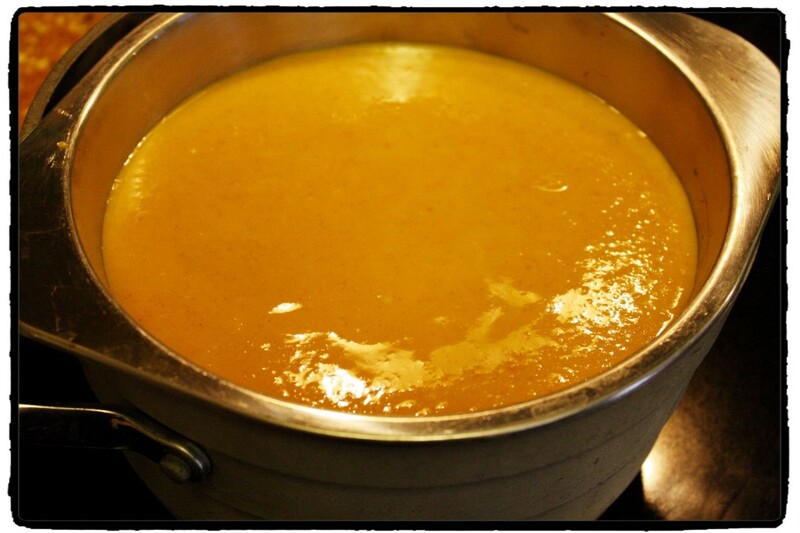 Add your pumpkin mixture and reduce the heat to medium to keep the water boiling but not rapidly. It is very important with the double boiler, that you stir frequently. I usually stir every few minutes. You don’t want the mixture to get thick only in certain areas or adhering to the sides – so make sure to scrape the sides each time you stir. After the 30 minutes is up, pour the mixture in to a pre-baked pie crust. Place the pie in the refrigerator to set up overnight. Serve with your favorite whipped topping! 1. Thaw a prepared pie crust and follow the directions for baking the crust. Let cool completely. 3. Cook for 30 minutes, stirring frequently to keep it from getting too thick in places and adhering to the sides of the pan. 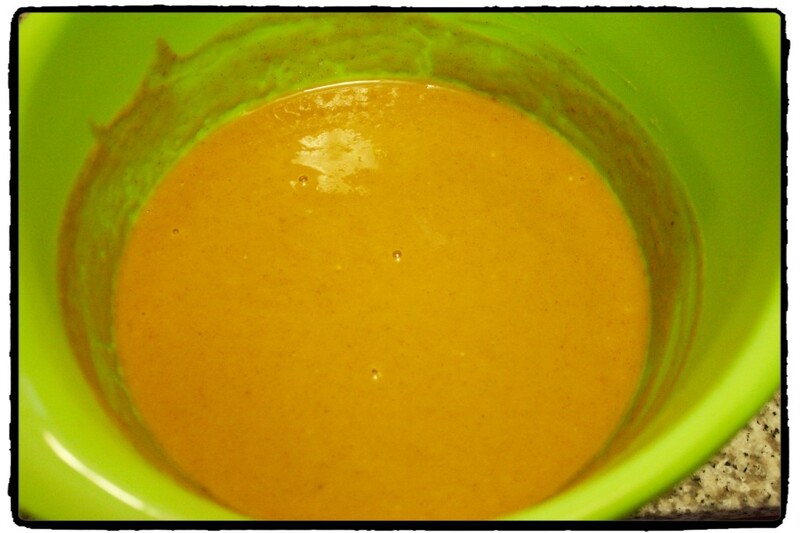 The mixture will thicken as you cook. 5. Refrigerate until the pie is set, usually several hours. I let mine set up overnight. Never considered using a double boiler, but this sounds like a good way to keep it smooth. I may just give it a try! I think it gives it a much better taste then baking. I hope you like it! 🙂 Thanks for stopping by. I love everything pumpkin! Thank you for sharing at our TGIF Link Party at A Peek Into My Paradise. I hope you will be back to link up another awesome post this week! I’ve never seen pumpkin pie made this way! Thanks for sharing. Gday Thanks for sharing at our #SayGdayParty and how yum! ; pinned!